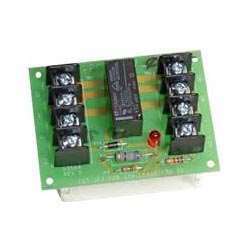 The Honeywell Power HRB5 relay module provides two sets of Form-C relay contacts. This relay module can be used for a wide range of applications including, but not limited to, those requiring a set of dry contacts, latching dry contacts, polarity reversal or telephone line seizure. The relay contacts can be controlled using the polarity reversal of a Fire Alarm Control Panel's Notification Appliance Circuit or a variety of other power sources.